What is the greatest British sitcom of all time? It’s a question which gets debated everywhere, from TV shows to pubs across the land, and we may now have a definite answer. A new YouGov survey of 1,742 adults in the UK has finally got to the bottom of the conundrum and, we’ll be honest, the result isn’t a major shock. Let’s face it, Only Fools and Horses always wins these things. 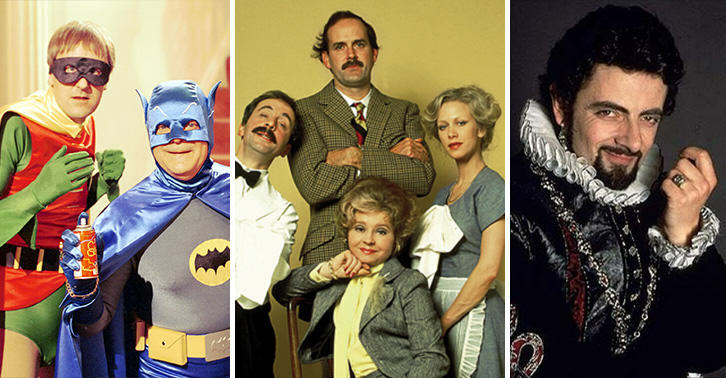 Even so, the distance by which Del Boy, Rodney and the gang won may come as a bit of a shock to some, with the classic sitcom receiving double the percentage of votes of second placed Blackadder, with Fawlty Towers coming in at third. 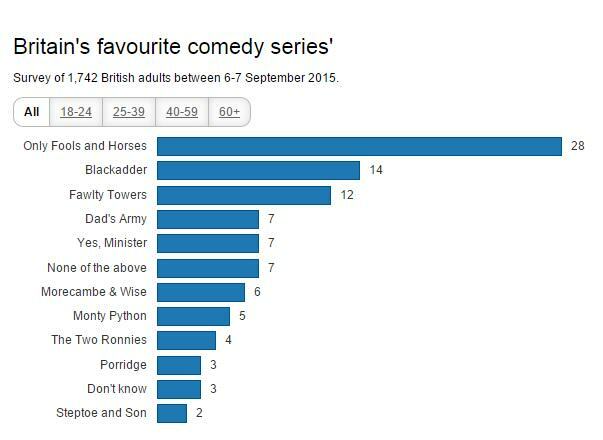 However, when broken down into different age groups, it should be noted that 18 to 24-year-olds mostly preferred Blackadder to Only Fools and Horses. Although the John Sullivan penned show did top the list among every other age group. The same survey also polled the British public’s favourite comedian or comedy duo and, again, it’s no great shock to see that legendary duo Morecambe & Wise topped the poll. Incredibly, however, for 18 to 24-year-olds Morecambe and Wise were actually the least popular, with Michael McIntyre coming out overwhelmingly on top. 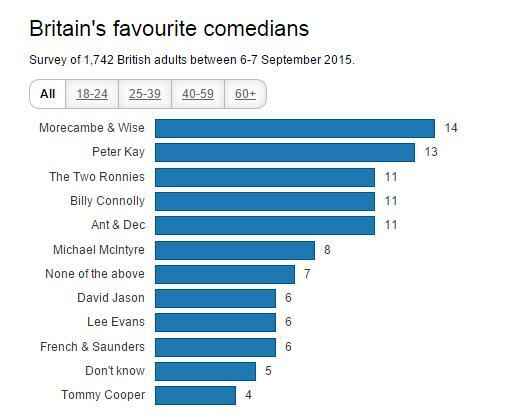 Meanwhile, Ant & Dec topped the list for 25 to 39-year-olds, while it’s a bit of a shock to see that Billy Connolly (who frequently tends to top ‘Greatest Stand-Up Ever’ lists) doesn’t top the poll among any age group.